In the new version we made a lot of improvements and added a whole pack of new features in almost all dbForge Studio’s GUI tools. And the most remarkable thing about this release is that nearly all novelties were suggested by our users. So we hope they will enjoy working with the new version and feel that they have contributed a lot to make it as it is. With the help of our users we could work on the product on the new level, and as a result of such successful tight cooperation its standard of quality grew. This new standard includes taking into account actual needs of people using our product and implementing their exact requirements except studying the market in general and implementing features that are theoretically demanded. First of all, test the usability of Dependencies List – a unique feature that will allow you to see the object’s references and dependants. No more need to spend precious minutes on looking all this up! You are welcome to explore and analyze master-detail data in a browser with rich settings, and save your data and diagrams for future use. Foreign key lookup editor was added. Resources of client machines will be spared with server-side sorting and filtering. Data Editor now informs about its state. Capabilities to edit tables in join statements, to number records, copy data with header, and build graphical representation of data with a wizard are now available. Maintaining server security is one of the most responsible tasks. We did our best to make it easier by redesigning Security Manager. Now you can edit several users at once, group them by hosts, and grant definite sets of privileges with the help of virtual roles. Export data from several tables at once and save your time by exporting and importing data through the command line. Object Viewer (formerly known as Summary Window) was totally redesigned to provide an easier way for analyzing objects and their structure. Brand new start page for quick access to the most frequently used features and new skins for a better look. 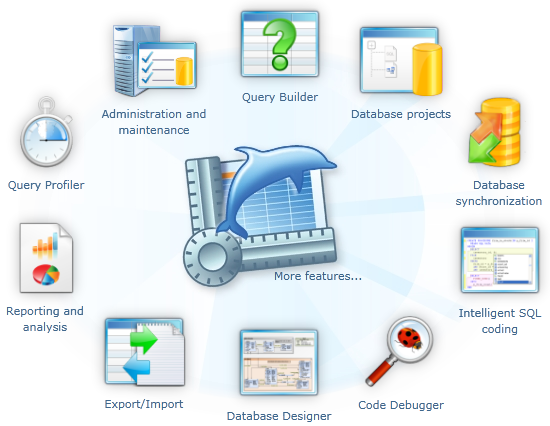 Consumers can give the updated dbForge Studio for MySQL a test drive by downloading the free Express edition or the 30-day trial Professional edition at the product download page. To leave feedback, users can go to the dbForge Studio for MySQL feedback page. The Devart team is looking forward to receiving any comments and suggestions.